Cynthia Nunley is a single mother, a special education teacher and a foster parent of four kids. For Nunley, paying for their college education is a challenge. But thanks to a scholarship through the Inspire Awesome campaign at Eastern Washington University, Cynthia's 18-year-old daughter, Tabitha Nunley, can go to college without worrying about paying tuition or room and board. 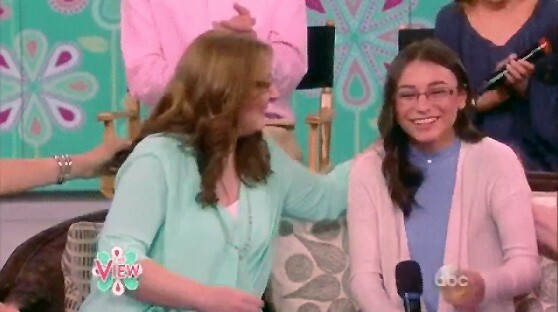 On Friday morning, the family appeared on ABC talk show The View as part of a Mother's Day special. Mike Westfall, the EWU Foundation executive director, presented the scholarship to the family. "EWU is absolutely thrilled that you will be attending our university and that we can help you achieve your life goals," he said. Tabitha plans on studying pre-med at EWU once she starts this fall. The scholarship is worth up to $10,000 next year and can be renewed for three additional years. "I had no idea, and it's so — it's just such a relief," Cynthia said.